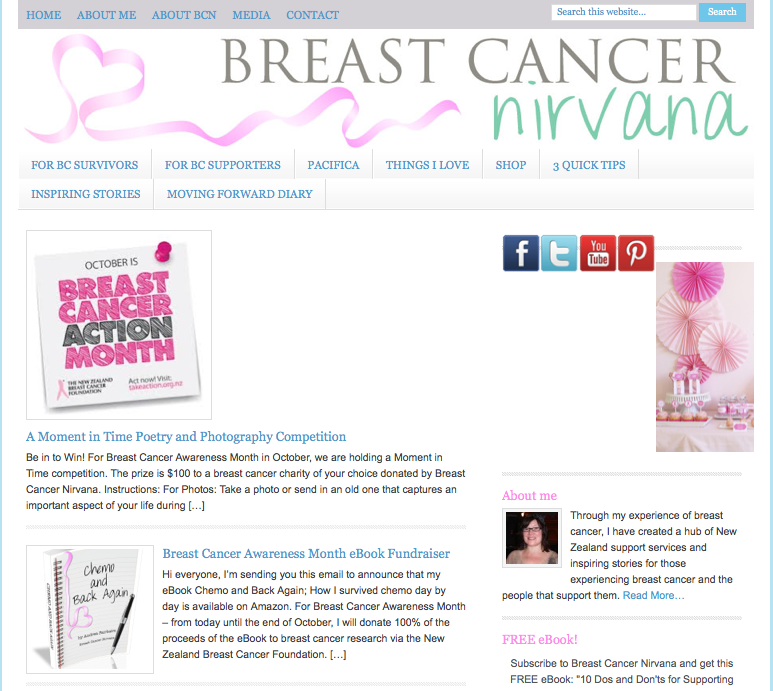 We wanted to share this excellent website, Breast Cancer Nirvana, created by two time breast cancer survivor Andrea Fairbairn. Andrea has written some fabulous books “Chemo and Back Again: How I survived chemo, day by day” and “10 Dos and Don’ts for Supporting Someone with Breast Cancer”, both can be purchased and downloaded here. Copyright NRBCT © 2019 · Site by KateCoote.